Full Name: MACROLANE™ VRF-20 10ml. Active Composition: biotic non-animal hyaluronic acid, NASHA™ (20 mg/ml). Volume: 1×10 ml pre-filled syringe. Accessory: Package incorporates a patient record labels (recommended to be injected with a 16G, or wider, blunt cannula, separately obtained). MACROLANE™ VRF20 and MACROLANE™ VRF30 is a gel produced from MACROLANE™ Volume Restoration Factor (VRF), is a colorless, hyaluronic acid based, originated from organic but non-animal sources. Both of the products are designed for the same purpose that is treating deep facial wrinkles but shows variation with respect to their structure and chemical bonding. MACROLANE™ VRF20 and VRF30 are used for fixing deep tissue folding on different areas of body. They are especially used to regain an uplifted volume on body portions such as breasts etc, meaning not supplied for facial filling. They are made exactly like dermal fillers but they have larger particle formation of non-animal stabilized hyaluronic acid (NASHA). Both products are injected to get the desired tightness in the skin. They provide support to the tissues already present in the skin. A small difference between cross-linkage of hyaluronic acid is found. The choice between the two could be a difficult task and only an expert in this field, who has correct knowledge about deep wrinkle folds can examine the skin and prescribed you the relevant filler. For a non-surgical treatment, MACROLANE™ VRF-20 10ml is designed for patients who are looking for body sculpting treatment. Simply, through our internet portal, Meso.pro; you can order any skincare product according to your intended use. Also, phone call order service is available where our customer care agent will treat you in the most friendly way possible and will get you products as fast as possible..
MACROLANE™ VRF-20 10ml; volume restoration factor is inject able filler just like dermal filler for your body. It is a contouring gel that is known for its water holding capacity; hyaluronic acid. It is just like facial fillers but its serum contains larger particles of non-animal stabilized hyaluronic acid (NASHA) the body will regain the volume and your patients will get a feeling of fullness around breast or other parts of the body. MACROLANE™ VRF-20 10ml is hydrophilic in nature i.e. having a capability to carry moisture within itself. When the larger particles of NASHA are injected into the parts of body, they instantly attract water and hold them into it. It volumises the loose and saggy areas of your patient’s body providing a complete look to buttocks and getting into shape. 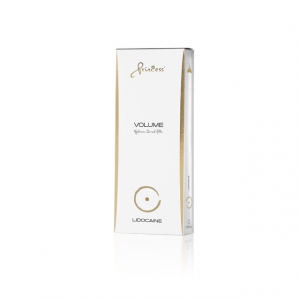 Mainly it is used to enhance the shape of the body but many plastic surgeons use MACROLANE™ VRF-20 10ml for enhancing body areas and giving their patients a more increased or complete look to their body shape. However, cosmetic surgeons have also used MACROLANE™ VRF-20 10ml in their inject-ables for purposed other than enhancing or volumising body such as shaping calf muscles or giving a more ornamental appearance to patients. Pateints suffering from Pectus Excavatum can also use this treatment to fill their hollow chest. Many doctors have been seemed to use it for correcting asymmetry. Also, used for the fixing of flat feet and providing curves to heel areas. Using these injections on for facial uplifting shall highly be avoided. MACROLANE™ VRF-20 10ml will last up to 12 months. There are many cases reported when the fillers results lasted for more than 17 months. But the duration is entirely dependent on the condition of skin and is going vary accordingly. There are many side effects of MACROLANE™ VRF-20 10ml sited. However, all of them appear to disappear after 2-4 weeks, except for the allergic conditions. Allergy from any anti-inflammatory agent or antibiotic can cause severe harm to the patients and thus be avoided. You are going to require doctor’s prescription or advice before using such injections. As it is less or no harm causing than plastic surgeries, therefore many people are switching to these non-surgical and painless treatments instead of going for heavy dosed, full of pain and permanent side effects surgeries. The temporary side effects includes, bruising, redness, swelling, tenderness and sometimes itching. * Meso.pro offers only genuine MACROLANE™ Cream 5% that is manufactured by Q-Med. All brands listed here including MACROLANE™ are the trademarks of their respective owners. Meso.pro is not operated by, supported by or affiliated with Q-Med.